‘O’Keeffe, Preston, Cossington Smith: Making Modernism‘ showcases the iconic art of Georgia O’Keeffe, one of the most significant American painters of the twentieth century, alongside modernist masterpieces by the celebrated and pioneering Australian artists, Margaret Preston and Grace Cossington Smith. United by their love of nature, O’Keeffe, Preston and Cossington Smith developed subjects from their immediate surroundings into distinct interpretations of place. 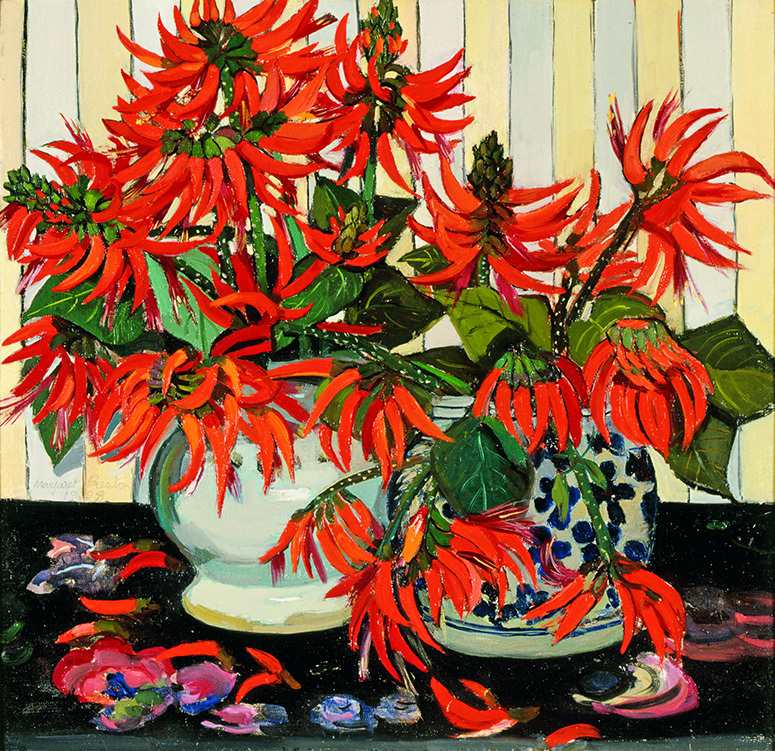 Preston articulated the primordial character of the native environment in her pursuit of a uniquely Australian aesthetic, looking at the structural possibilities of her floral motifs, while focusing on design and pattern. 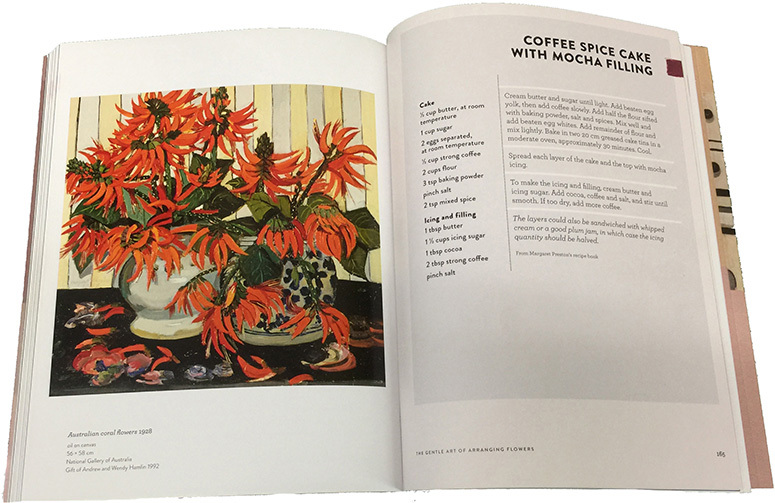 In 2016, author Lesley Harding launched a biographical book at the Queensland Art Gallery (QAG), detailing the life and art of the artist, and highlighting recipes from Preston’s own cookbook. The recipes, as well as the stories, are nostalgic and of their time – 1920’s Gatsby-style fare, old-fashioned tea-parties on the cusp of modernity, and of course, lots of cake. Drawing on recipes from handwritten books found in the National Gallery of Australia and richly illustrated with Preston’s paintings, prints and photographs, this book sheds new light on the fascinating private life of a much-loved Australian artist. 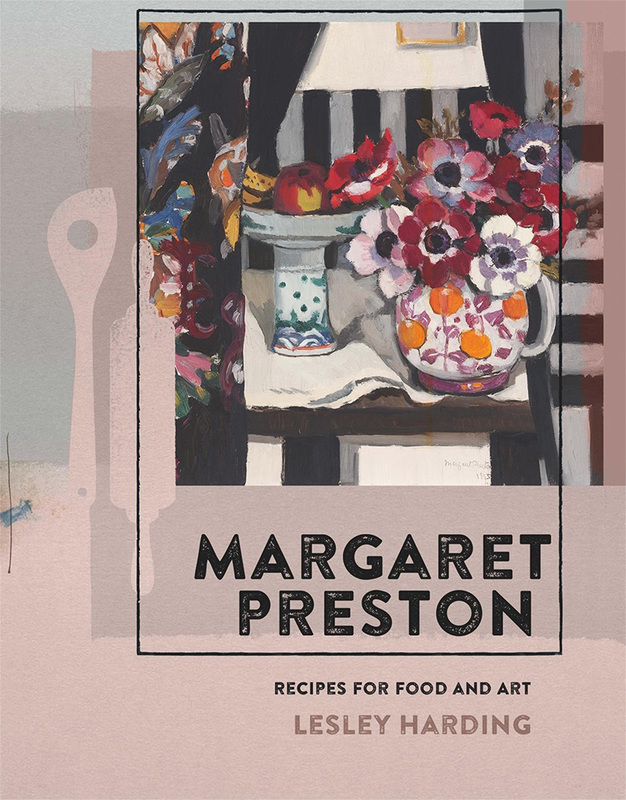 Margaret Preston: Recipes for Food and Art is available online and onsite from the QAGOMA Store. 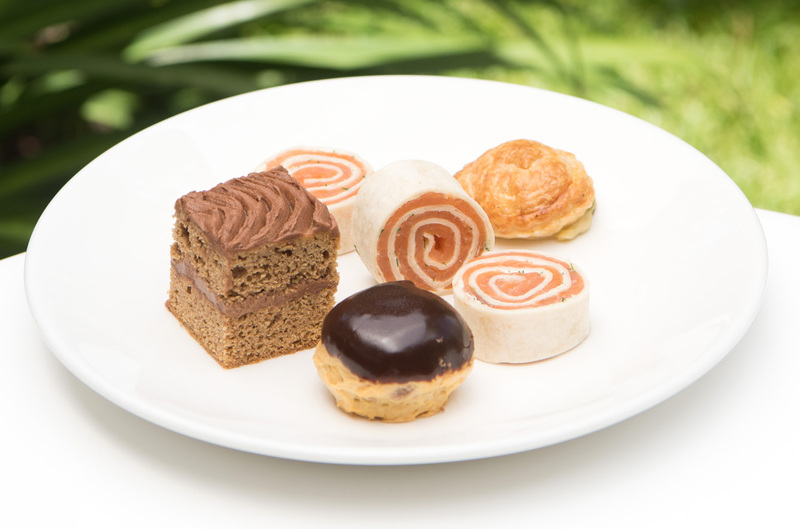 You can now eat a little slice of history, reimagined with a modern twist. 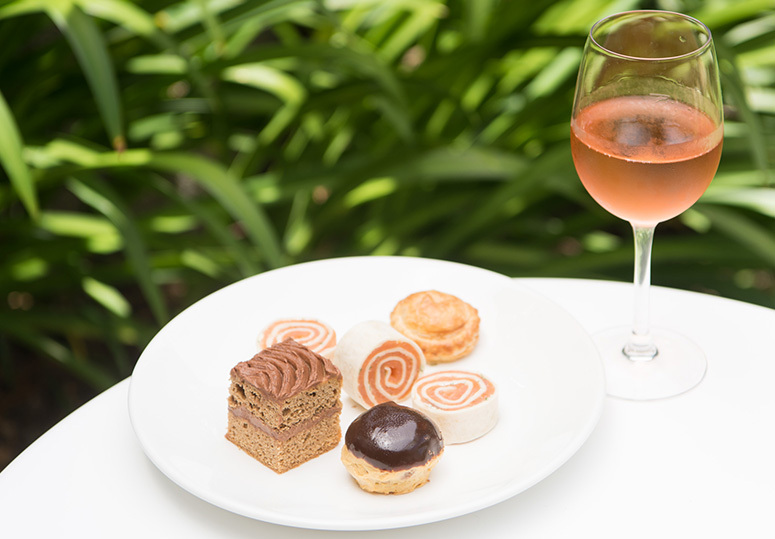 Enjoy four delicious sweet and savoury items (including Margaret Preston’s Coffee Spice Cake) with a glass of Yering Station wine, exclusive to the QAG Cafe during ‘Making Modernism‘. A little known fact from the bakers’ lexicon, known only to secret few, is that one who makes cakes is ‘throwing cakes’. The term comes from old-school American bakers who would cup a fistful of batter in a big hand, before squishing it out in one swift action, into a cup to bake little cakes. This sounds like enormous fun, unless you’re the poor soul throwing cakes at 3.20am, in a dark and humid bakery, rushing to get the pastries out before dawn’s first customers. Margaret Preston arrived with a large cake box and immediately asked ‘Have the Trustees [of the Art Gallery New South Wales] been? If so, what did they buy?’ and Thea was forced to tell her that they had been, but they had only bought one of Thea’s paintings. At this, Margaret Preston threw the cake at Thea, turned and re-entered the lift and disappeared like Mephistopheles in a puff of smoke! Who could dare to deny such a formidable woman; a firebrand who would throw a perfectly good cake at her best friend? 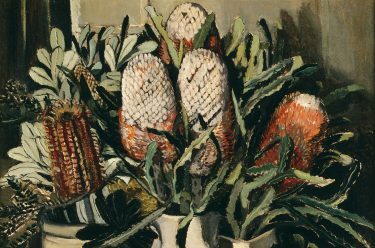 What a treat for us at least, that her works were eventually purchased by Australia’s state and national galleries and available for us to enjoy almost a century later. When QAG hosted the book launch of this entertaining read, QAGOMA’s Executive Chef Josue Lopez was inspired to throw a cake of his own, from one of Preston’s recipes – the Coffee Spice Cake with Mocha Filling. 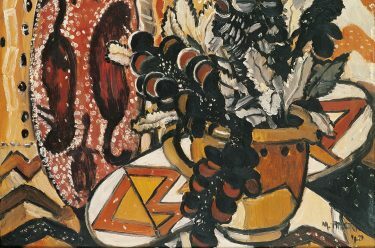 Enjoy this slice of history, reimagined at the QAG Cafe from 11 March to 11 June 2017, with the ‘Wine and Delights’ offer during ‘Making Modernism’. ‘Making Modernism’ draws together around thirty works by each artist from the breadth of their careers and is at the QAG from 11 March to 11 June 2017. You can also purchase the exhibition publication online and onsite from the QAGOMA Store. The exhibition is presented by the Heide Museum of Modern Art, Victoria, the Art Gallery of New South Wales, Sydney, and the Queensland Art Gallery | Gallery of Modern Art, Brisbane, in partnership with the Georgia O’Keeffe Museum, Santa Fe, and supported by the Terra Foundation for American Art and the Gordon Darling Foundation.